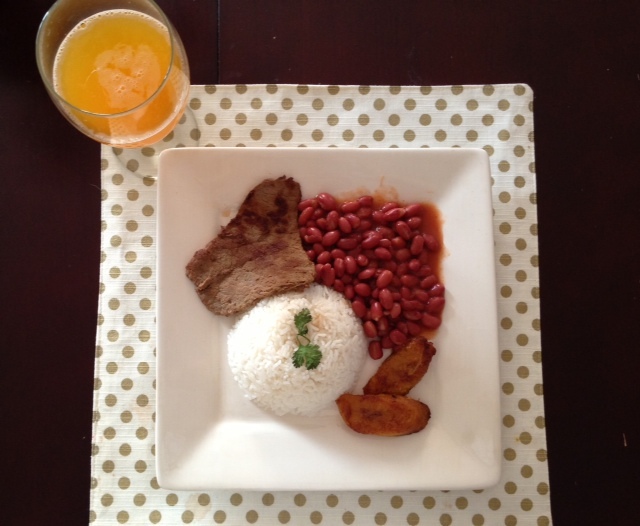 One meal that I think all Latin cultures can agree on loving is Rice and Beans with Steak! I die for a delicious home cooked meal. And one of the meals at my house this week was just that. I made white rice, beans and carne asada with maduros. Riquisimo! Today I simply want to give you easy tips on what to put on your beans and how to make your steak for a delicious quick and simple but super tasty meal. I season my steak with soy sauce, mustard, garlic, paprika and adobo. Then I fry my steak in water, just about two teaspoons of water on your frying pan to boil. Wait until the water is hot and is evaporating... cook for about 2 minutes on each side. And you carne asada is ready! A super simple way to eat healthier! For my beans, I usually use canned red pinto beans by Goya. I drain the beans and rinse them. 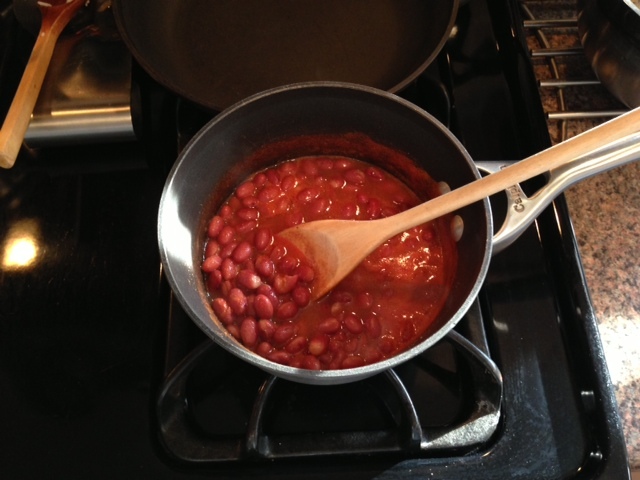 Then I add tomato sauce and a but of water to the pot of beans and start cooking on medium heat. I add sofrito (made at home, which I will chat about soon, on the different sofrito ingredients you can use) and also a little pack of Sazon Goya sin Achiote (Without Annatto) for extra flavor. When the beans are almost cooked, I add my Ecuadorian magic ingredient: a teaspoon of milk! And my beans come out delicioso! And that my friends, is your easy Spanish meal. A super simple and easy dinner idea which my family and I love. For a little bit of fusion add plantano maduros for a delicious mix of flavors! My husband love this traditional meal.